I have often encountered problems with touchpad in Kali Linux. This problem could be either on tapping (tapping the touchpad) or with scrolling with two finger. I have come across the following 3 fixes. At least one of them should work for you. Press the windows key (on the lower bottom, Ctrl key, Function key, Windows key, Alt key), and type mouse in the search bar that shows up. Click the activities button on the top left, and type mouse in the search bar that shows up. You can check the tap to click and two finger scroll options and your problem is solved. 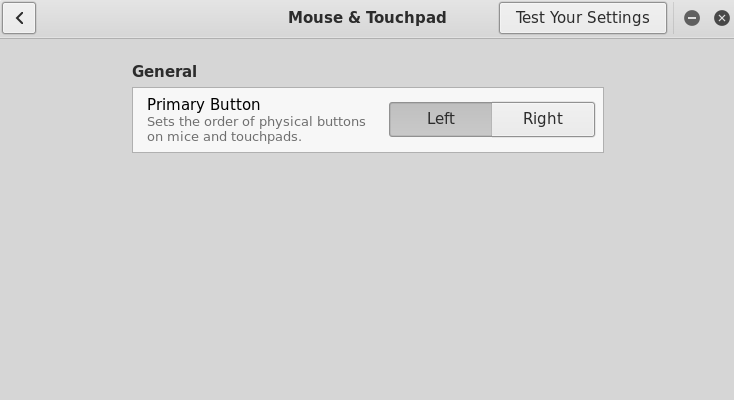 Then you have to use the next fixes, as the Mouse and Touchpad setting are useless for you. This should enable tapping for you. And turns out I was right and it did reverse the direction of scrolling. These changes that we made aren’t persistent, and the synclient setting would revert to default every time you start your system again. There are many solutions to this, one of which include editing files in /usr/share/X11/xorg.conf.d/. However, these files tend to get overwritten and we have to deal with a lot of other mess to fix that behavior. Instead, we will use a very simple solution, and just run the above two commands on system startup. Step 5: Use your favorite text editor [vim v/s/ sublime text?] (or cat ). I’m using leafpad to make things look less intimidating. Step 6: A leafpad windows will pop up. Paste one of the following into the window and then save and then close leafpad. Note 2 : (If you’re curious why I didn’t use ~ and instead made two different scripts for root and other users) Exec=~/script.sh didn’t work for me. Maybe it does work in general, and there was some other factor in play for me, or maybe it isn’t supposed to work at all. Not sure. Any comments in this regard are welcome. Step 7: Change directory to home. Step 9: Paste the following code into it. Then save. PS: Paste only the lines required by you. Restart Kali and see if your tapping and reverse scroll are still working. If not, go through the steps again and see what you missed. Everything is case sensitive so you have to be very careful in that regard. If typing the commands into the terminal worked for you, but automation by adding the commands to startup didn’t, then here is one simple troubleshooting tip to isolate the problem. If your tapping/reverse scrolling is working fine now, then your script is fine, but the autostart directory content is not. Recheck steps 1 to 6. If your tapping/reverse scrolling isn’t working fine, then your script is flawed. Recheck step 7 to 10. Step 1 : Open a terminal. Step 2 : Type the following command. Your mouse pointer will stop working after typing the first command and will resume continue working (hopefully with the touchpad problems solved) after the second. Restart and see if the changes are persistent. Again, I reiterate, this method is based on a fix I found on Kali Forums, and you should read further there if you are facing any problems. That said, if you are facing any problems, then feel free to comment. If you followed the guide but had to do something a bit different to get it working, then also comment, as it may help others.